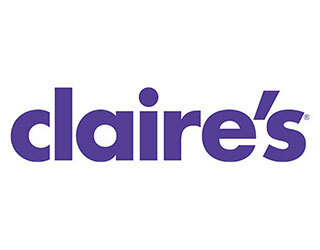 Claire’s is a leading international specialty retailer offering value-priced costume jewellery and accessories to fashion-aware tweens, teens and young adults. Already a must stop shop for hot jewellery ranges and trendy accessory items, Claire’s now offers a much larger choice including the already popular cosmetics, funky room décor and novelty items.Claire’s is also a leading Ear Piercing Specialist. Piercing over 80 million ears in its history Claire’s stores are packed full with the latest earring fashions. All associates have been fully trained and are qualified to instruct you in the best aftercare.